BRYAN EATON/Staff photo. 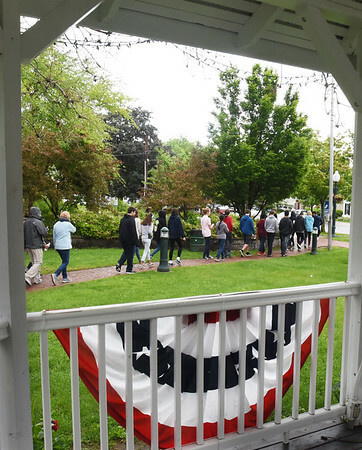 Amesbury Middle School eighth-graders file out of the gazebo in the downtown and head into the libarry after a talk buy Carol Bartlett and Patty Hoyt. They are touring various sites as the learn the history of Amesbury.